Hey guys! Sorry it’s been so long since the last post. S and I have both been super busy with that thing called life. And school. And being grown ups. Anyhows, now that Christmas time is fast approaching, it’s the time for cozy mornings filled with warm mugs of coffee, big sweaters, and hat hair. One of those three is my arch nemesis; guess which. I’m looking out the window right now, and it could honestly be mid January-it’s that cold and snowy. 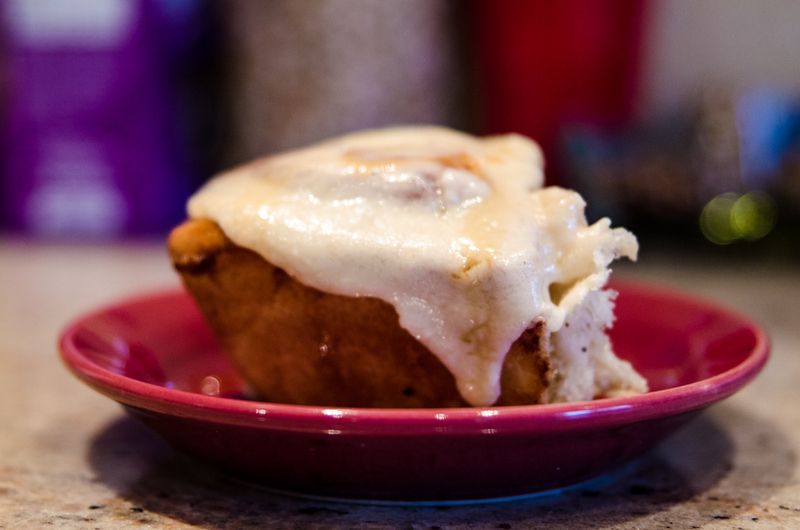 What better way to make you forget about the wind chill factor than cinnamon rolls? 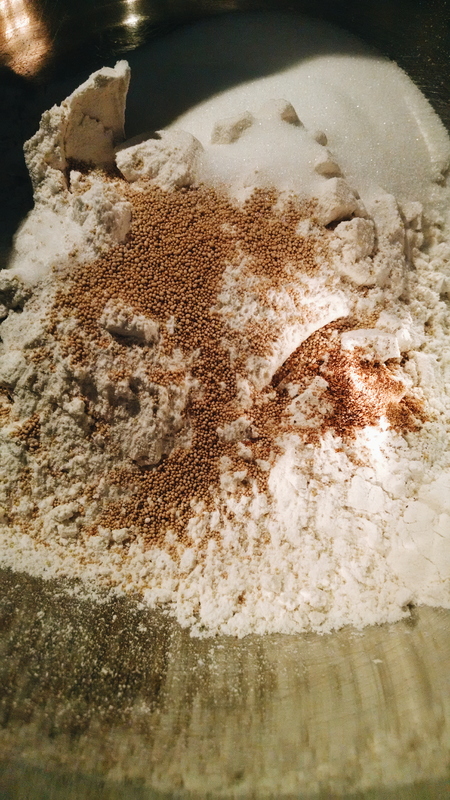 Real talk time: I used to be legit unnerved by yeast. As a microbiologist, I know I should be friends with yeast, but it just worries me. Months of failed yeast experiments in undergrad (only to find out that the yeast had expired months before) and an epic disaster of a loaf of bread all made me wary of the stinky fungus. I’ve slowly started making things with yeast, starting with some fantastic pizza dough from scratch, but my confidence is still not high. 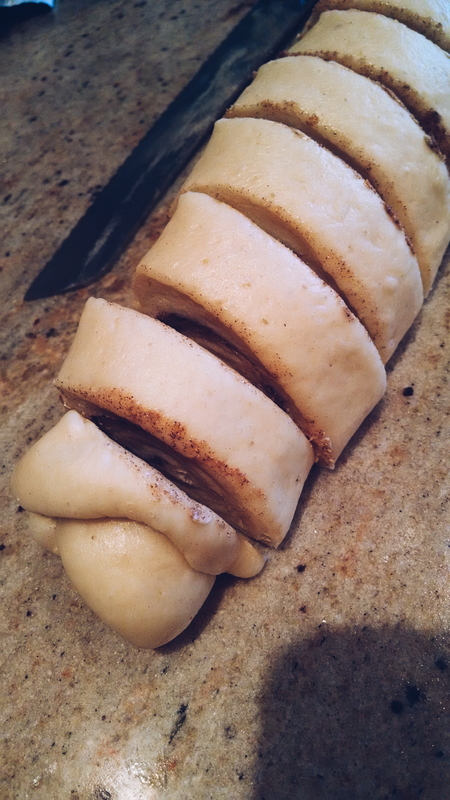 Today I hope to conquer my biggest yeasty challenge yet: cinnamon rolls. I found this recipe on Food52, which I could only describe as a home chef’s treasure trove of recipes! So many great ideas and tips. This is a recipe from a grandmother. Grandmothers have a certain magic to them, don’t they? 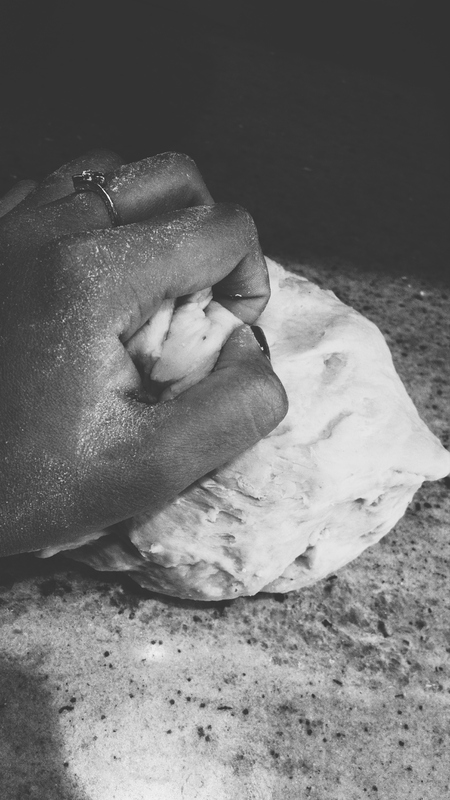 Along with spices and flour, their hands add compassion and patience. They cook from the heart and that is love in the greatest and simplest sense of the word. Let’s make some rolls for the beautiful people in our lives! Step 1: Do not get out of your PJ’s. I enjoy purple and pink hearts. Step 2: Put on some Christmas carols. Just kidding! Quality baking requires 90’s hip hop. Step 3: Get out all of your ingredients. 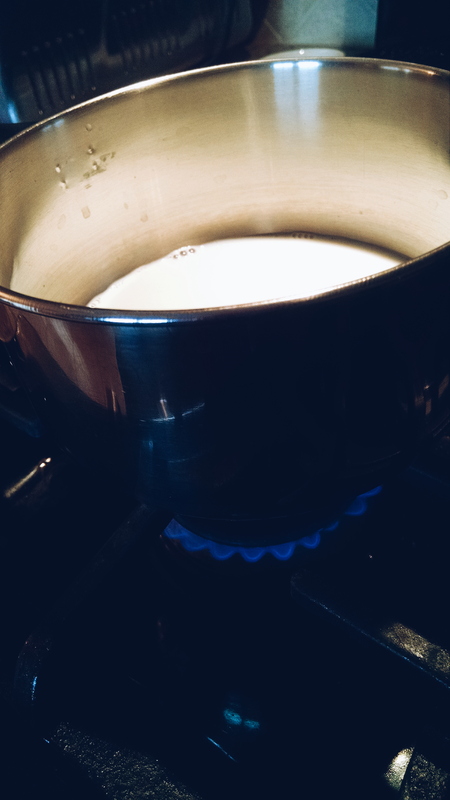 Step 4: Warm up a ½ cup of milk and water. 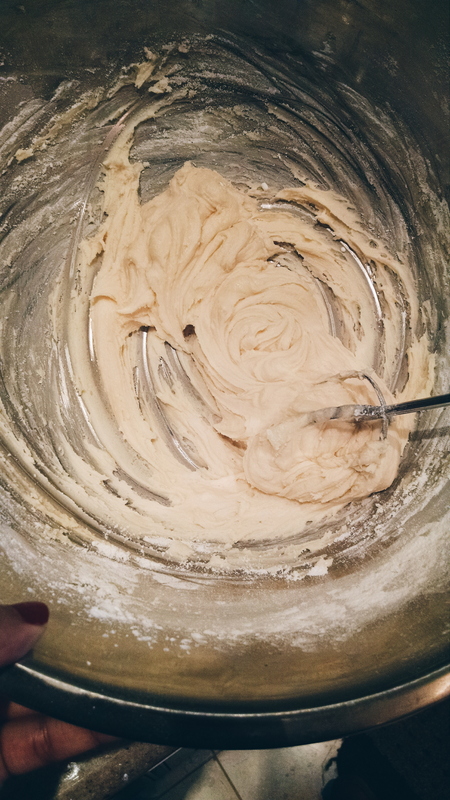 Step 5: Whisk together your dry ingredients (flour, yeast, sugar, salt, and nutmeg). Crumble butter into the flour mixture. Step 6: Pour the warm liquid over the flour/butter mixture, and then beat in vanilla and one egg until your mixture is somewhat homogenous. Step 7: Add flour, about a ¼ cup at a time, until the dough is no longer sticky and easier to handle. Step 8: Knead the dough onto a lightly floured surface. You’ll get a solid arm workout. Step 9: Grease up a large bowl, and your ball of dough. 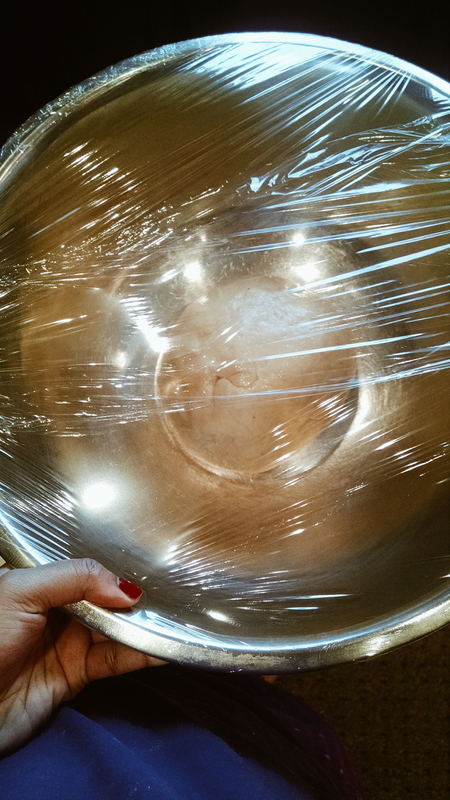 Cover the bowl in plastic wrap and place it in the warmest place in your house, for 1.5 hours. In our house, it happens to be the laundry room. Step 10: Take out the dough, you’ll see that it’s doubled, if not tripled, in size. Step 11: Punch it down, and roll it out into a rough rectangular shape. 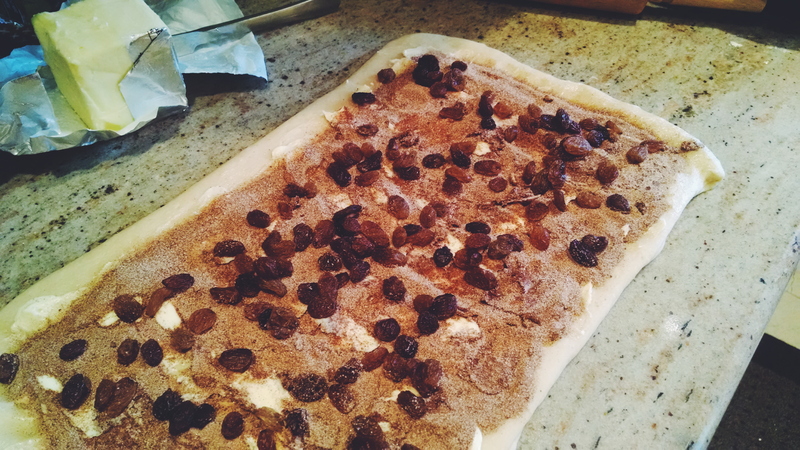 Step 11: Spread softened butter on the rolled dough, sprinkle cinnamon sugar on it, and top off with raisins. The raisins are optional, in case you have a raisin-hater in your life. 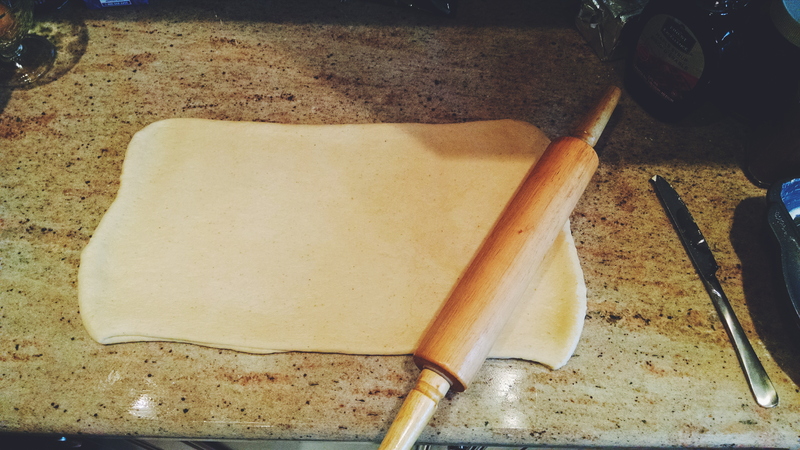 Step 12: Roll the dough into a tight log, and slice using a serrated knife. I got 16 rolls in total, but the original recipe says 12. Step 13: Gently place the spirals into a buttered 9 by 13 inch baking pan; make sure there’s lots of space between the rolls. Wrap the dish in plastic wrap, and let it rise again for one hour in a warm place. Step 14: Preheat the oven to 350, and make an egg wash, to brush on top of the rolls. 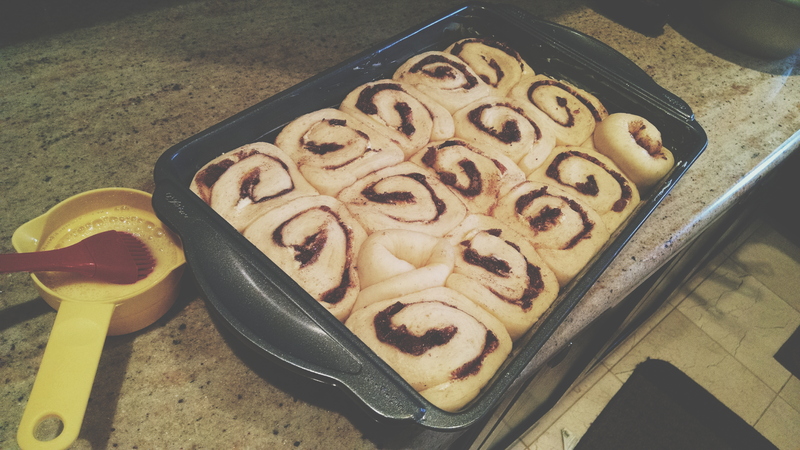 Step 15: Bake for 20-25 minutes at 350, and then cool the rolls for 10-15 minutes. 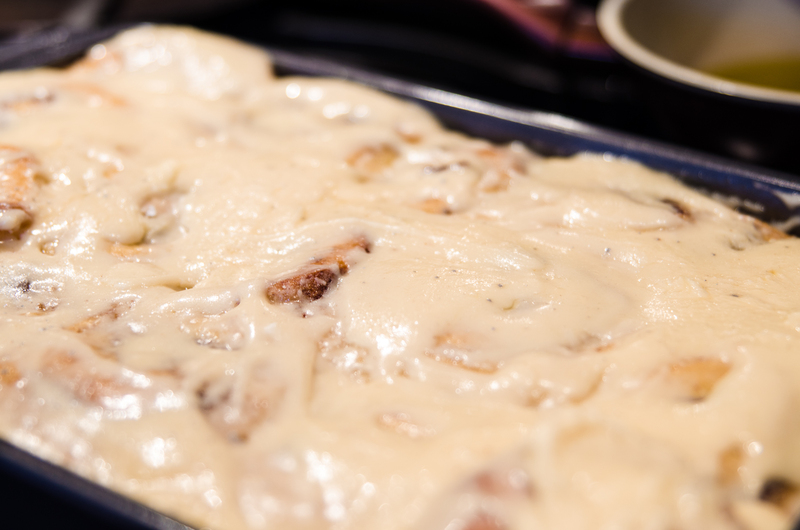 Step 16: Glaze with maple frosting, and top off with maple sizzurp. Cuz that’s just how we do in Canada. AND HERE IT IS!! The finished product! 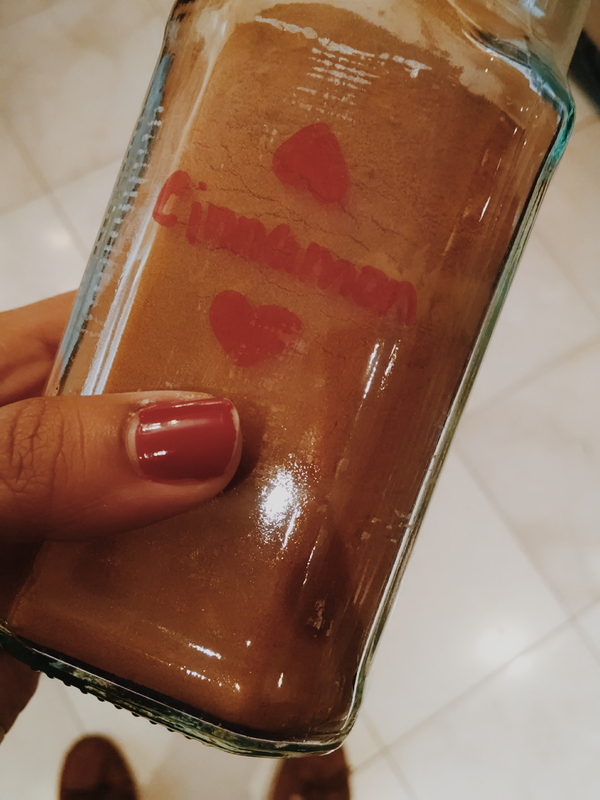 Bask in the glory of these soft pillows of sweet cinnamon, bathed in maple-y glaze. So overall, it look me a total of 4 hours to make these guys, BUT don’t be put off by that. It’s a lot of waiting time, so you can go about your day while the magic happens with the yeast. 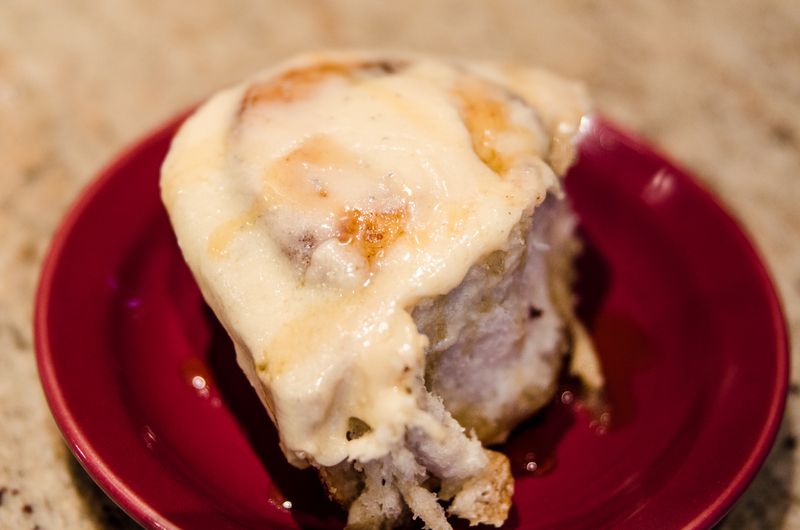 The time and efforts are definitely worth it, because these rolls are outta this world yummy! And oh the smell in the house, afterwards. 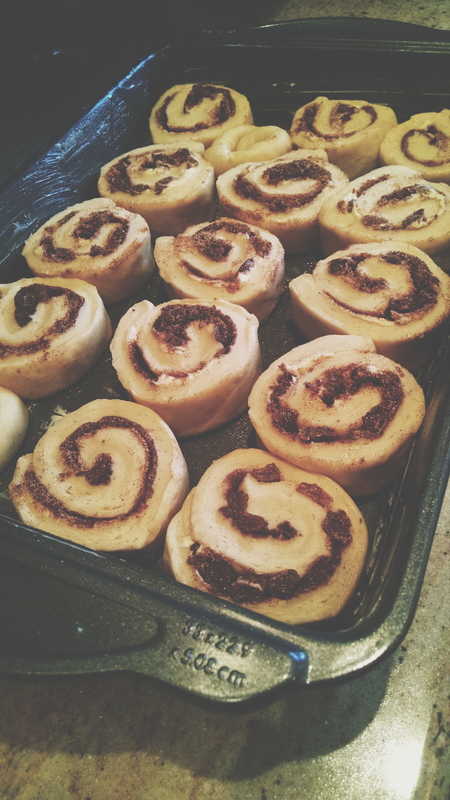 If your house is currently on the market, bake some cinnamon rolls right before you have potential clients over. They’ll buy. 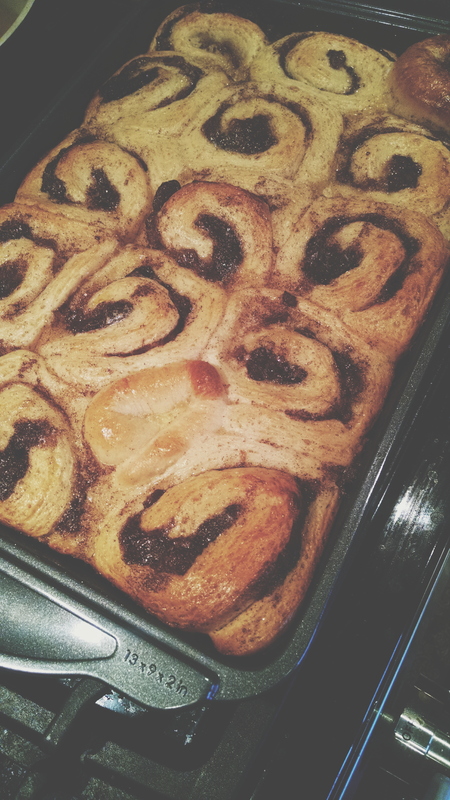 For the recipes, here is the link for the rolls: http://food52.com/recipes/24943-grandma-bercher-s-cinnamon-rolls. Scroll down for the Maple Glaze how-to! 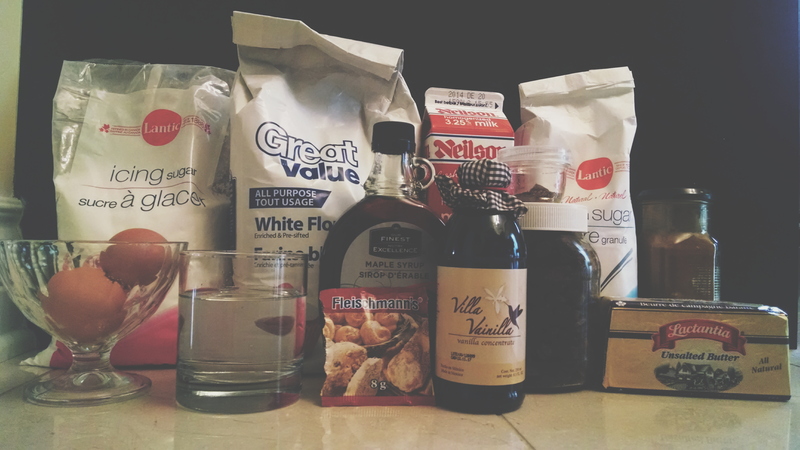 Add all of the ingredients into a large bowl, except the powdered sugar. Beat until everything is thoroughly combined. Gradually add the powdered sugar, about a ½ cup at a time.